Staff Selection Commission SSC issued the call letters for the Computer Proficiency Test CPT for the post of Assistant Grade-III (General, Depot, Technical and Account Cadre) in Food Corporation of India FCI, 2013. All the candidates who have appeared in the written examination FCI Exam 2013, must have to download call letter to appear in the computer test CPT which is required during the examination hall. 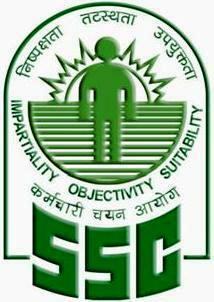 You can also visit the commission official site http://ssc.nic.in for any more information regarding the FCI Exam 2013. Applicants from Rajasthan, Delhi or Uttarakhand (SSC North Region) can download their Call Letter from the official website of commission for this region- http://sscnr.net.in or click on the following direct link to download it. Enter your Roll no. / Full name and Date of birth then click on search status button.